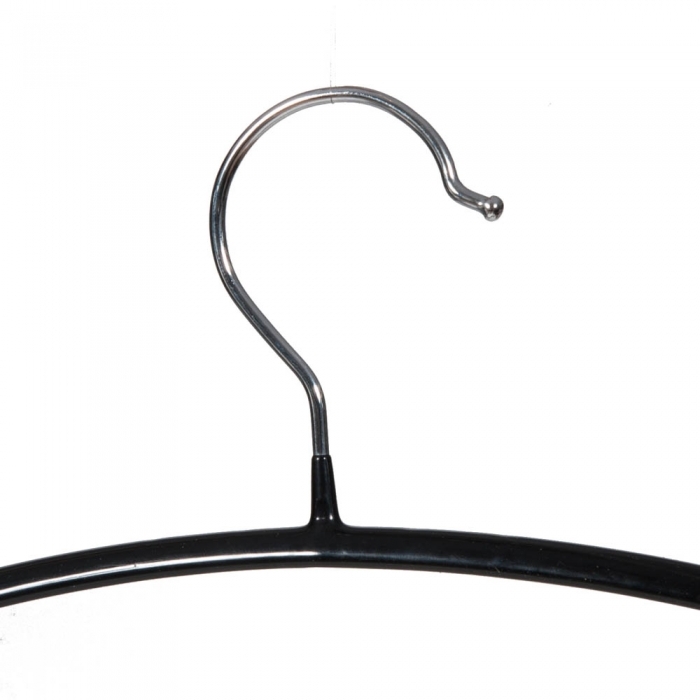 Non-slip hangers stop garments falling off the hanger which has benefits such as it keeps displays tidy, reduces the time staff spend in tidying displays and can even help deter shoplifters as garments will not slip easily off the hanger into a bag. 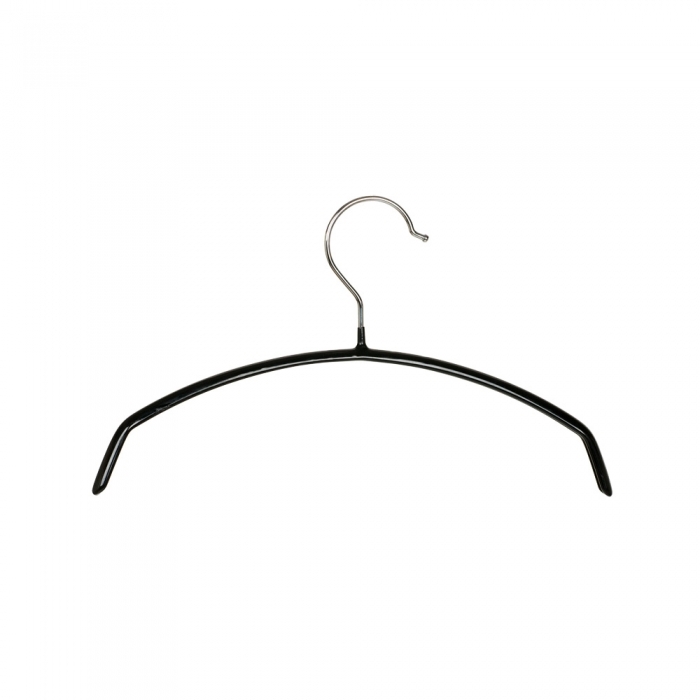 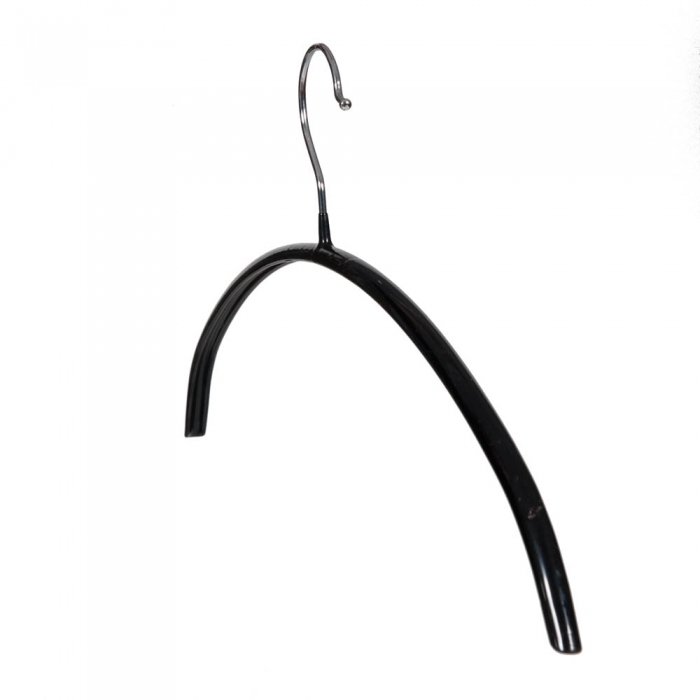 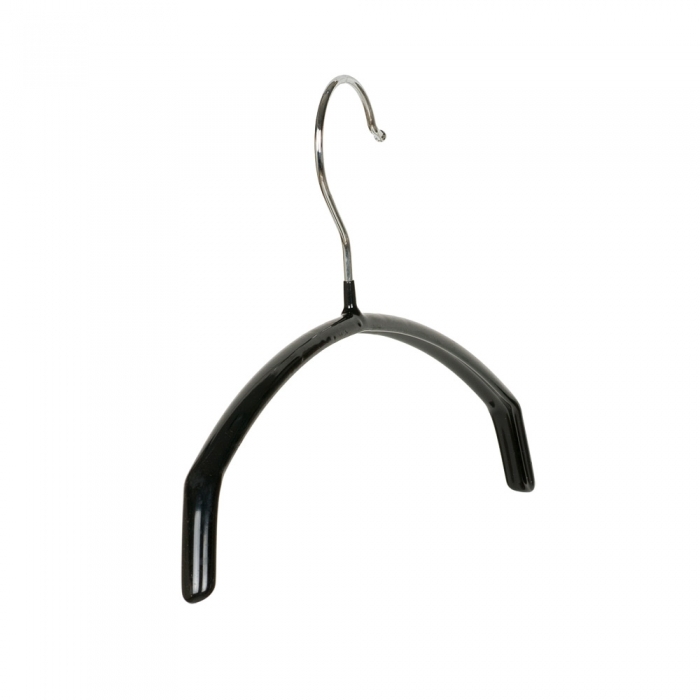 Non-Slip curved knitwear hangers, 30cm wide and coated in a gloss black rubber finish with a chrome hook. 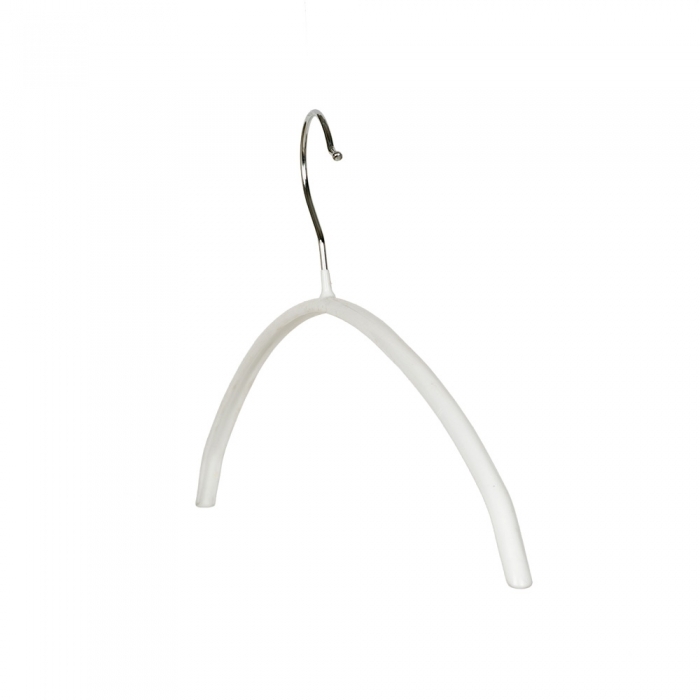 Available in two colours including black and white.